Formula E rarely presents some true technical materials. But one of the recent videos is quick look at the electric racer - and while still not that much on the technical side, still with a look. 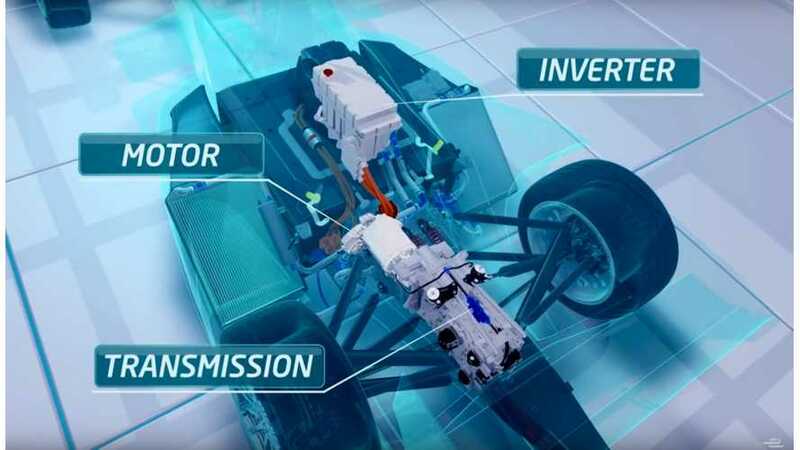 "Ever wondered how the electric Formula E cars work? We show you how each component works to provide power for the motorsport cars." Currently, all teams are using the same battery pack, which weighs around 200 kg, which supplies about 28 kWh of energy during races (any team caught using more would be punished). During season two, the teams can now use their own inverter, motor and transmission - up to 200 kW worth of power in qualifications and up to 170 kW during race. The only exception to the rule is that three winning FanBoost drivers each receive an extra 100kJ of energy to be used in a power window between 180kW and 200kW. 100 kJ is less than 0.028 kWh (28 Wh), which doesn't change much on the energy side, but if someone were able to overtake someone at the right moment, it could give a decent edge. On the other hand, that still doesn't exactly sound like fair play to us.